At Hurll Nu-Way, we supply a huge range of equipment for your industrial and commercial business needs. Whether you’re searching for low energy consumption equipment, or highly efficient and low maintenance products, our team of experts has you sorted. Do you require a highly efficient and customisable rotary lobe pump? Look no further than the JEC range of rotary pump, available from Hurll Nu-Way. The JEC range of rotary lobe pumps comprises of several different pump types – each one is state of the art within its specific application area. The pumps can be fitted with a variety of features to adapt to specific pumping task. 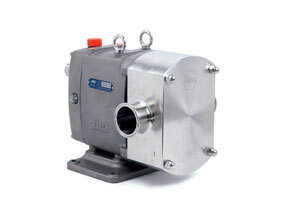 In addition, it is possible to customise the pumps for optimum function or performance in relation to the job at hand. With a JEC rotary pump, you can always be sure of the greatest possible hygiene using the highest quality materials. If you’re interested in our range of rotary lobe pumps for sale, contact our expert team today. A Range of Rotary Lobe Pumps in Australia and So Much More! … just to name a few! If your business requires a rotary vane pump, or any of our other equipment available, contact our team today. At Hurll Nu-Way, our team of experts are here to find the perfect solution to fit your business needs. If you’d like to discuss your unique specifications, or if you have any further questions regarding our lobe pump for sale, you can contact us by calling 1300 556 380, or by using our online contact form. Nu Way Energy (NZ) Ltd is a long established company having been in operation in New Zealand for over 28 years, serving the industry with high quality products. Constantly evolving and adapting to changing business environments, today we supply heating, cooling and process equipment solutions to industry in New Zealand.